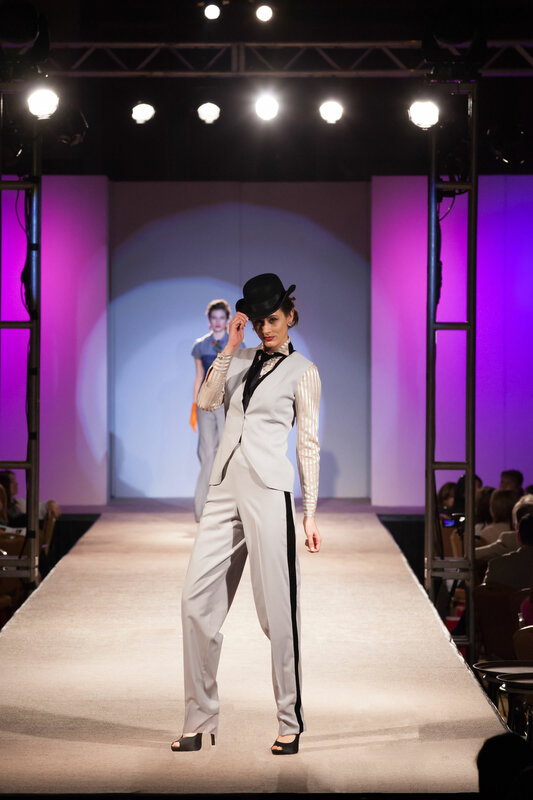 Inspired by Charlie Chaplin, this collection takes the classic tuxedo and then breaks all the rules. 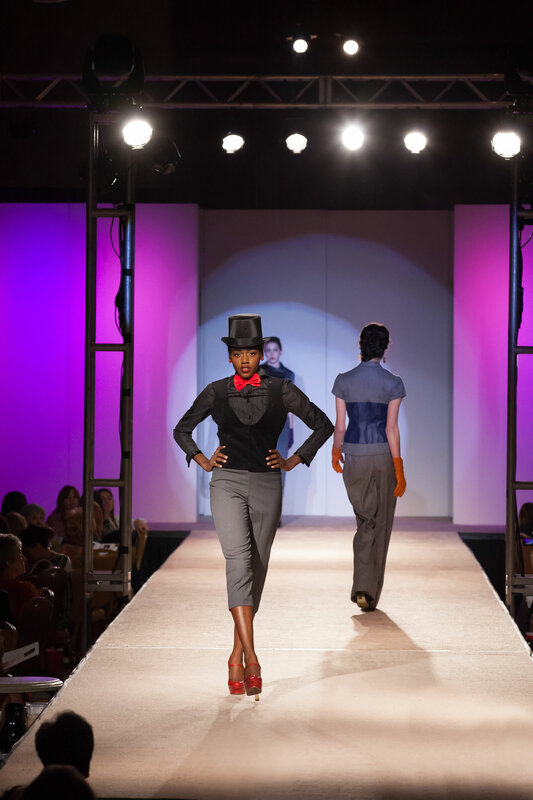 These tailored looks incorporate asymmetrical lines, color, and texture. 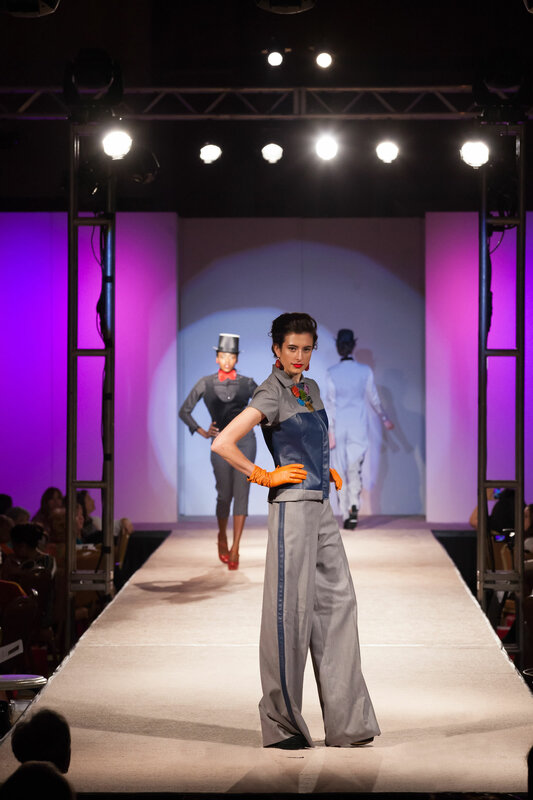 The garments are constructed using leather, wool, and jacquard silk.